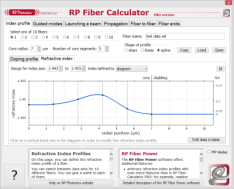 The RP Photonics Buyer's Guide contains 7 suppliers for hollow-core fibers. 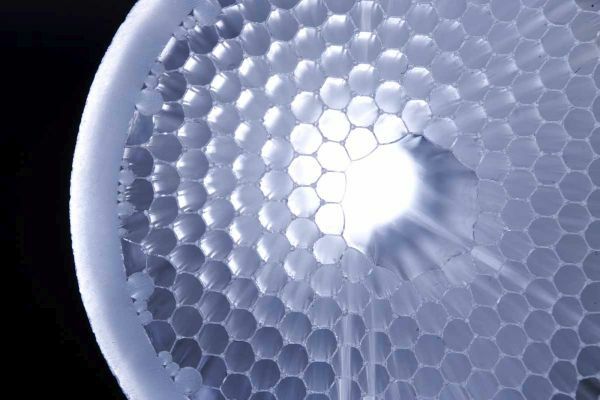 A hollow-core fiber is an optical fiber which guides light essentially within a hollow region, so that only a minor portion of the optical power propagates in the solid fiber material (typically a glass). According to the standard physical mechanism for guiding light in a fiber, this should not be possible: normally, the refractive index of the fiber core has to be higher than that of the surrounding cladding material, and there is no way of obtaining a refractive index of glass below that of air or vacuum, at least in the optical region. However, a different guiding mechanism can be used, based on a photonic bandgap, as can be realized in a photonic crystal fiber with a certain structure. Such fibers are also called photonic bandgap fibers. The name air-guiding fibers is less precise, because it is actually not the air which provides the guidance. The attractions of hollow-core fibers are mainly that the primary guidance in air minimizes nonlinear effects and makes possible a high damage threshold. Indeed, it has become possible even to guide light at wavelengths where the transparency of the glass material is relatively poor. For example, this has been demonstrated with high-energy pulses from an Er:YAG laser at 2.94 μm . Also, one may exploit the high optical intensity in air or in some other gas filled into the fiber – for example, for realizing Raman lasers  or for high harmonic generation . A general problem of hollow-core fibers is that their propagation losses are substantially higher than for solid-core fibers – in particular when single-mode guidance is required. There are, however, methods to mitigate that trade-off . Another issue is the normally quite limited wavelength range in which the photonic bandgap guiding mechanism works. This wavelength range can be substantially broadened by using a different kind of hollow-core fiber with a so-called Kagomé lattice design [2, 12]. The operation principle of the Kagome fiber design profoundly differs from that of a photonic bandgap fiber; it does not rely on a photonics bandgap [6, 8, 17]. Some optical properties also differ substantially from those of photonic bandgap fibers. Namely, the wavelength range with good transmission can be much broader, which is useful for many applications, including supercontinuum generation . Also, the slope of the chromatic dispersion is lower, which is beneficial for pulse compression [10, 14, 15]. Some designs exhibit very small overlap of light with the silica structures (order of 0.01%), allowing the guidance of beams with rather high optical peak powers. Our Crystal Fiber portfolio of specialty fibers spans from nonlinear fibers optimized for octave spanning supercontinuum generation, over the World’s largest single mode ytterbium gain fibers for high power lasers and amplifiers, to advanced hollow core fibers guiding the light in air. Our single-mode LMA fibers are also available as patch cords with standard termination in our aeroGUIDE product range. Moreover, we offer the CONNECT broadband fiber delivery system, enabling easy and robust single mode coupling for fiber delivery at any wavelength – with the industry’s highest coupling efficiency.